You already have basic access enabled on your account. Go to HillTimes.com or go back to upgrade your account to full digital access. The introductory offer is only available to new users. 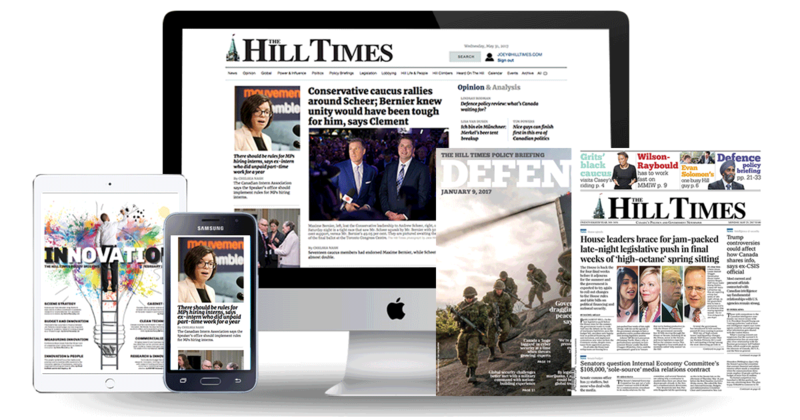 Go to HillTimes.com or go back to upgrade your account to full digital access. Mondays and Wednesdays print issue of The Hill Times, unlimited access to HillTimes.com, The Hill Times and Embassy archives.